I prefer a Sauvignon Blanc from the Marlborough region of New Zealand (think Kim Crawford, Nobilo, Brancott Estates). 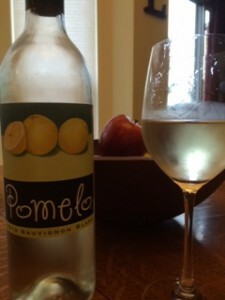 But I really enjoyed the Pomelo 2013 California Sauvignon Blanc. Honestly, I was in a hurry the day I bought this, so I really didn’t think much about it. But it turns out the taste was great and the price was perfect at about $8. And this wine smells exactly like grapefruit. It’s light and citrusy, but not overly sweet; somewhat tart but not bitter. I could absolutely taste the grapefruit, as well as some lemon, lime and citrus fruits. I think it’s a very refreshing wine with crisp acidity. I am always willing to try a new beer. Last weekend I was looking for something different to enjoy outdoors. I discovered Sierra Nevada Summerfest (5% ABV), a crisp lager that really is refreshing. I was pleasantly surprised at this beer’s fairly light-bodied wheat and mild citrus taste. It reminded me a lot of 312, although it’s a tad sweeter. Although a pretty hoppy beer, the finish was not super bitter. Try this one soon. It is a seasonal brew so it probably won’t be around much longer. In fact, some of the Fall beers are already on shelves. 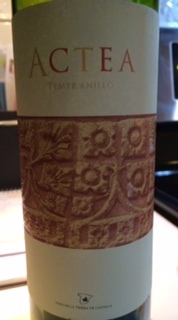 Actea Tempranillo 2012 was in our very last shipment from Vino Volo. Yes, we chose to give up the wine club for several reasons…at least for now. Actea Tempranillo is a Vino Volo private label wine produced by the Jorge Ordonez Winery in Spain. According to Vino Volo, Ordonez imports the largest portfolio of Spanish wines to the U.S. This wine comes from central Spain’s historical La Mancha. Tempranillo is, of course, the country’s signature red. Aromas of cherry and blackberry blend with earthy notes. This medium-bodied selection has bright red fruit flavors, along with a bit of cocoa and hints of herbs. It is mild and smooth with medium tannins and moderate acidity. Not amazing, but a decent, drinkable wine. William Hill Estate Merlot Napa Valley 2009 is a smooth, enjoyable Merlot. This is a full-bodied wine with nice structure and a velvety finish. Tastes of plum and cherry blend well with the smoke and spice flavors of this wine. Now is the time to drink! This is a nice red blend, especially at the price of around $13. This earthy and spicy full-bodied wine offers ripe blackberry and cherry in front of a flavor that’s full of vanilla oak and hints of chocolate. A bit light and sweet at first, it has a smooth taste, lush tannins and a nice, somewhat dry finish. The grapes in the Alamos Red Blend include Malbec, Tempranillo, Syrah, Bonarda, Cabernet Sauvignon, Petit Verdot.